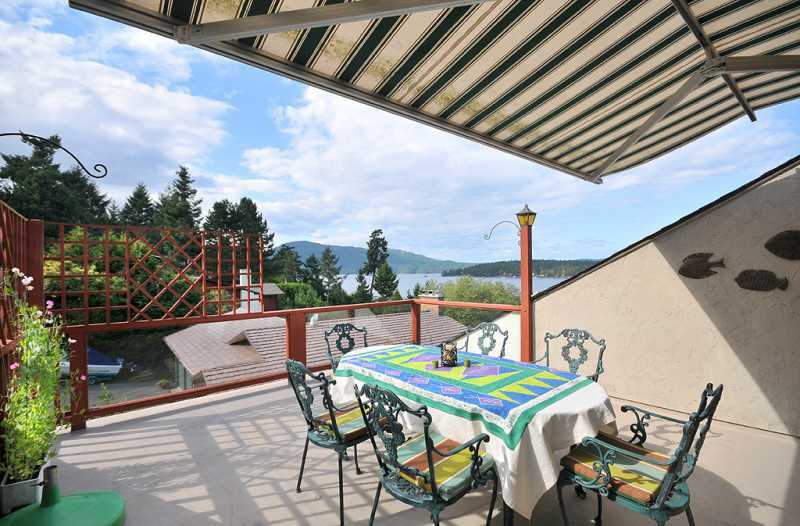 Seagull's Gulf Island View House is truly a home away from home. 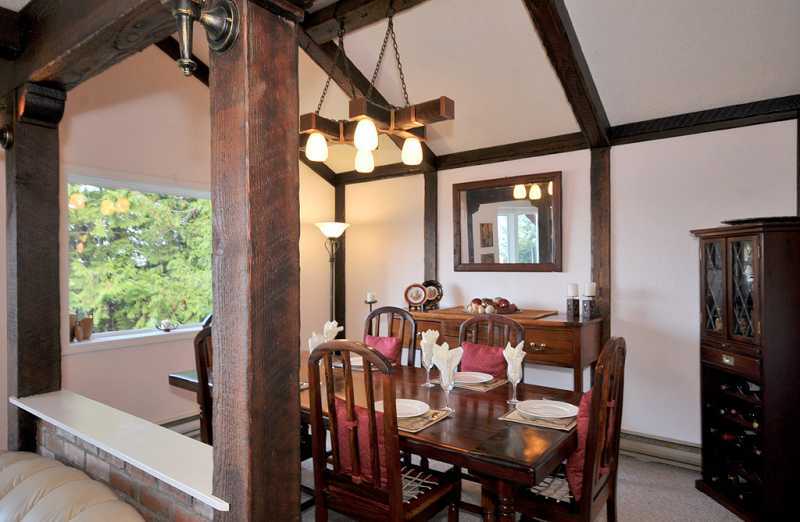 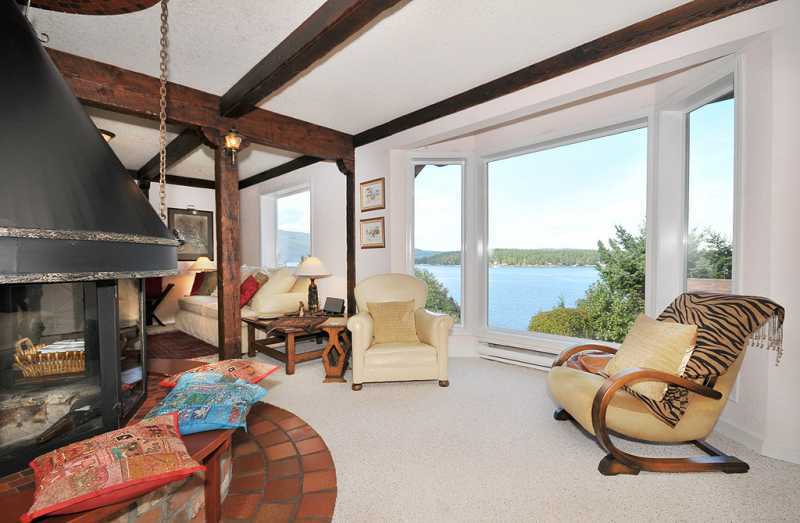 With stunning views of the islands, ocean and mountains, this authentic Tudor-styled house has a warmth about it that will make you feel at home as soon as you step through the front door. 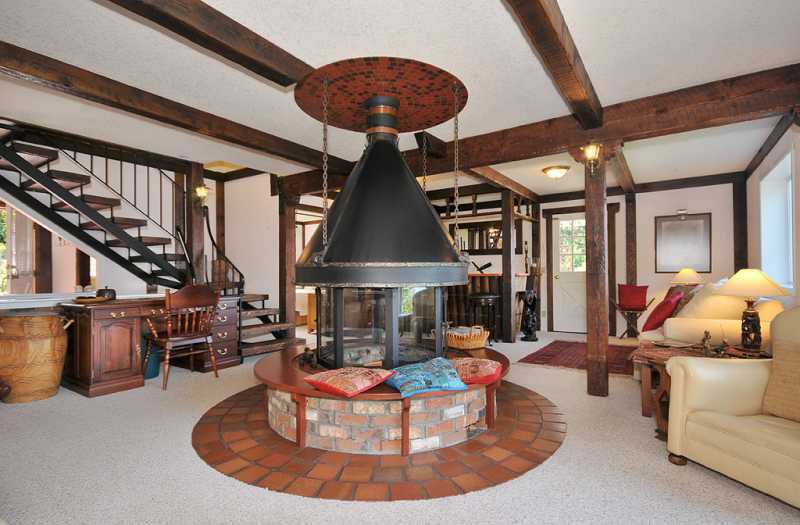 Unique features such as a central circular fireplace, furnishings made from original African Rhodesian teak railway ties and a spacious and bright master suite located in the loft add to the character of the home. 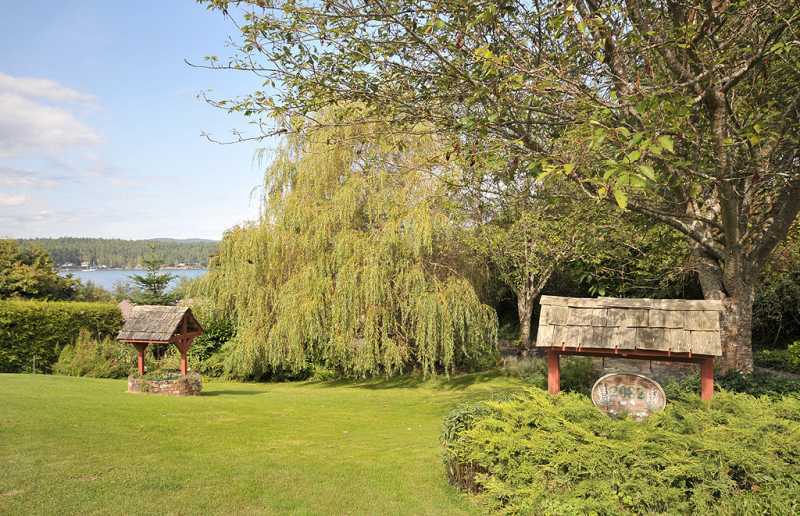 On a sunny lot, the property boasts a garden with indigenous shrubbery which attracts an abundance of wonderful bird life. 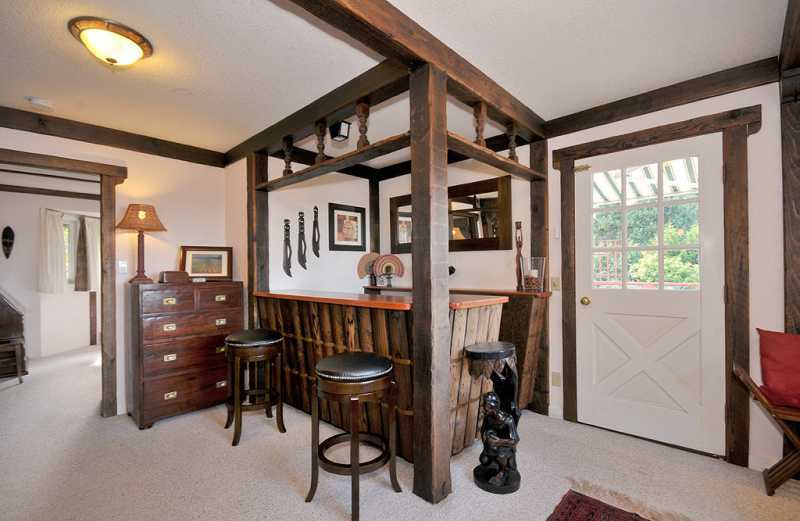 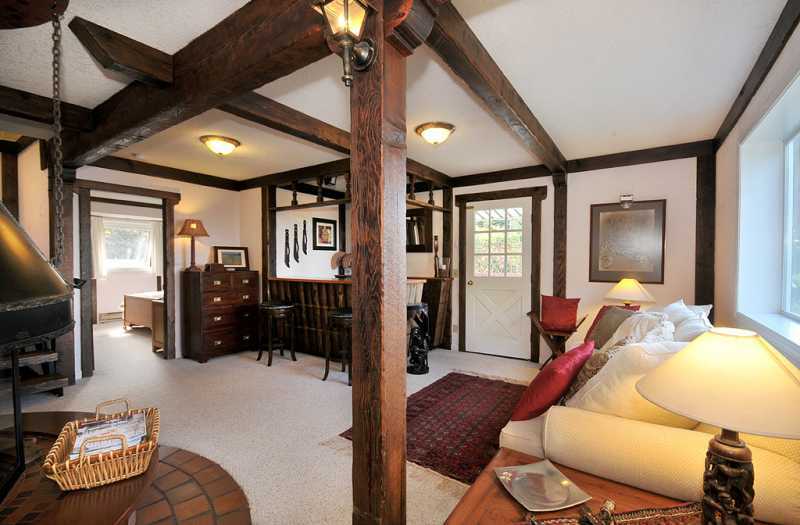 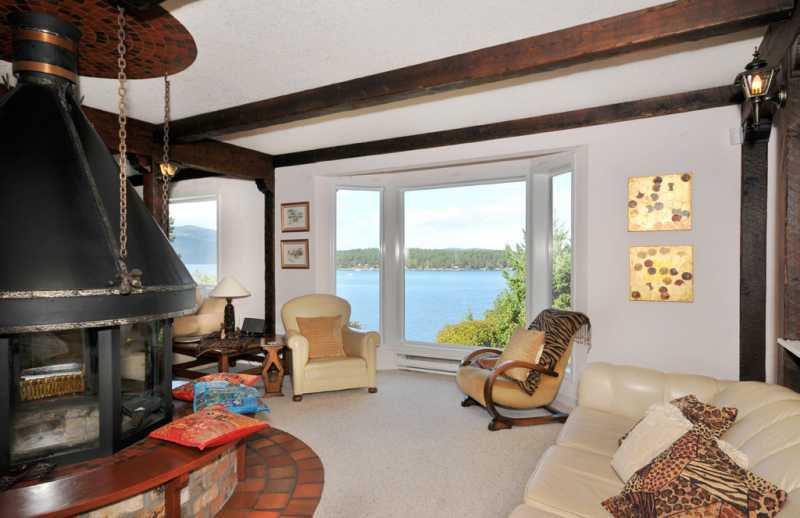 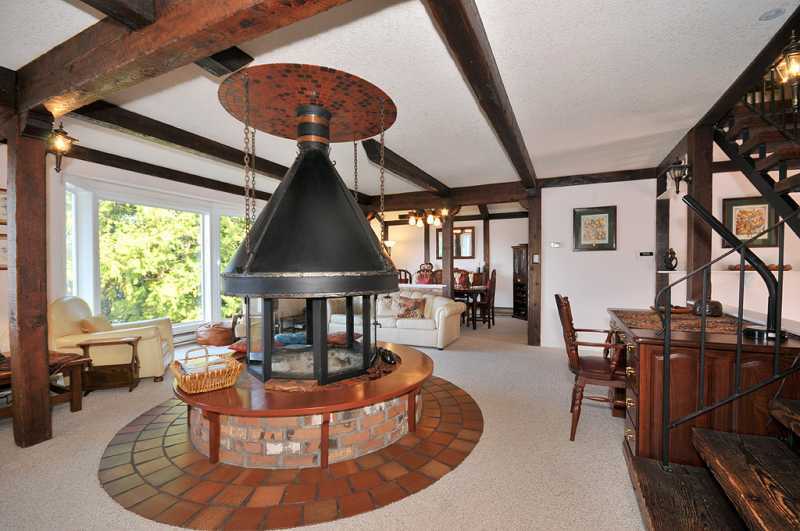 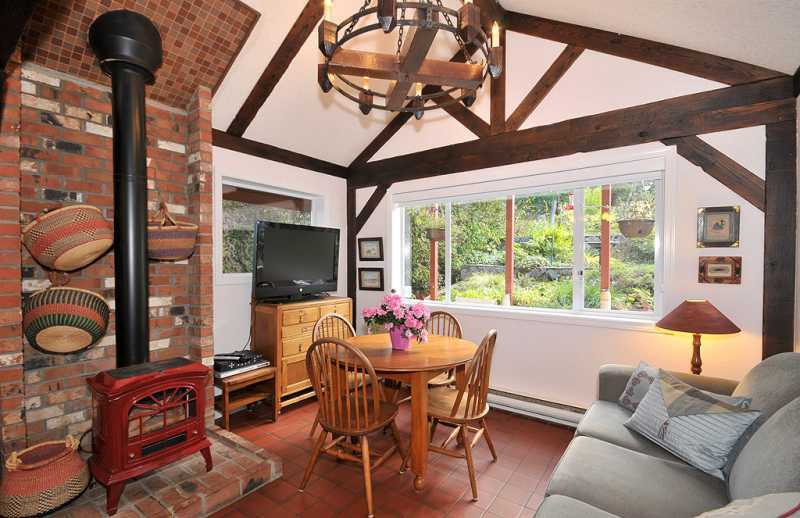 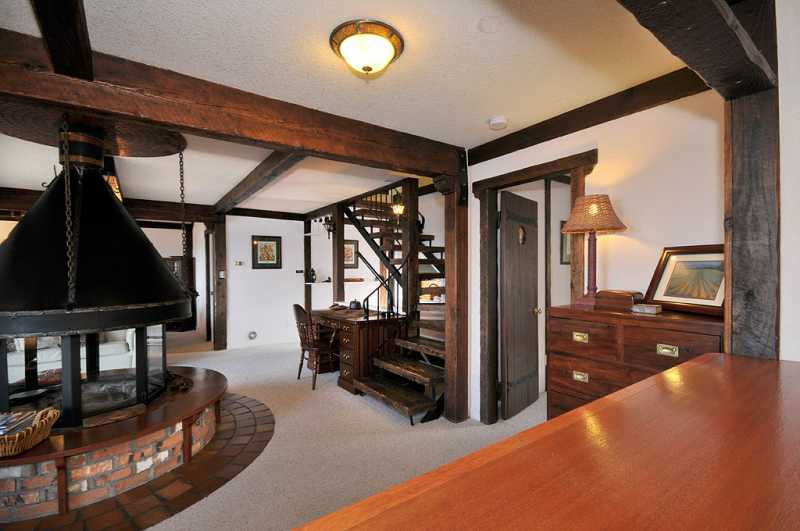 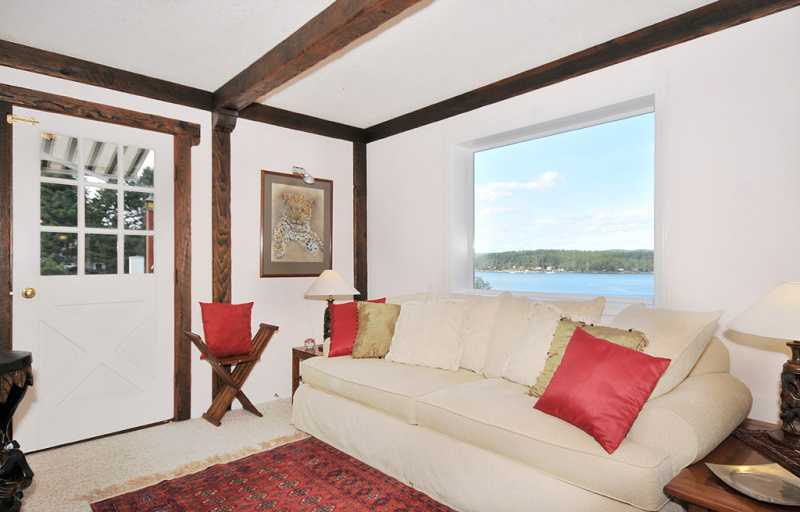 The living room is bright and cozy with views of the the ocean, a wood burning circular fireplace and a bar. 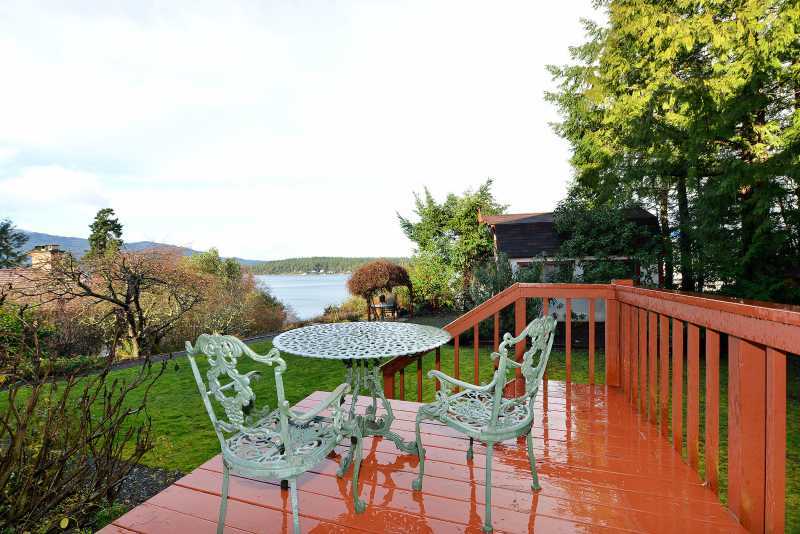 The sundeck off the living room is an excellent spot to view both the gardens, ocean and mountains. 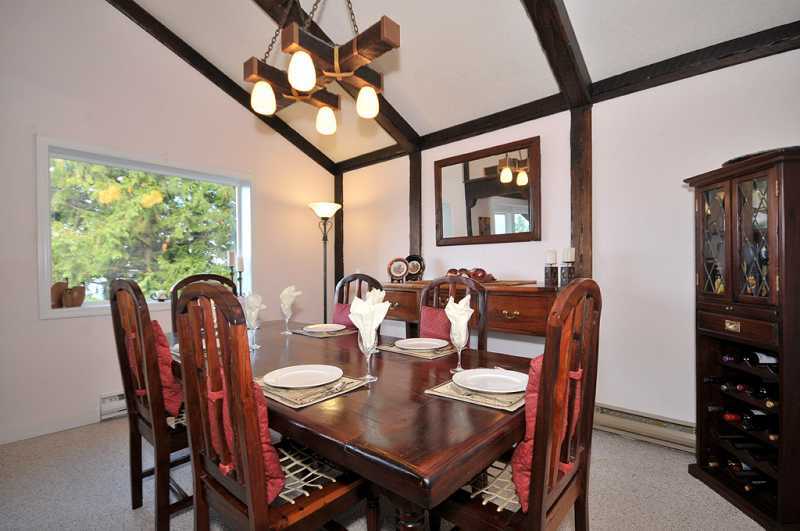 Through the formal dining room, you will find a large and spacious kitchen with a breakfast nook that provides you with ample views of the garden and a great spot to watch the birds come and go. 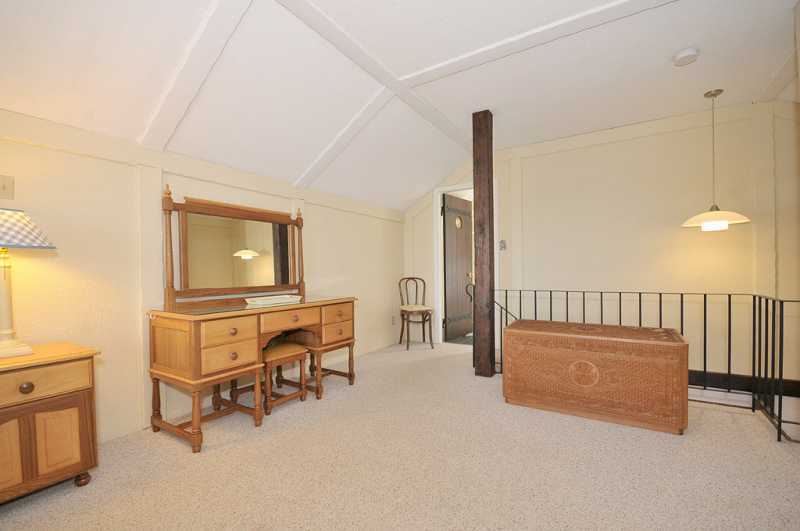 A bedroom with a double size bed and a powder room finish off the main level. 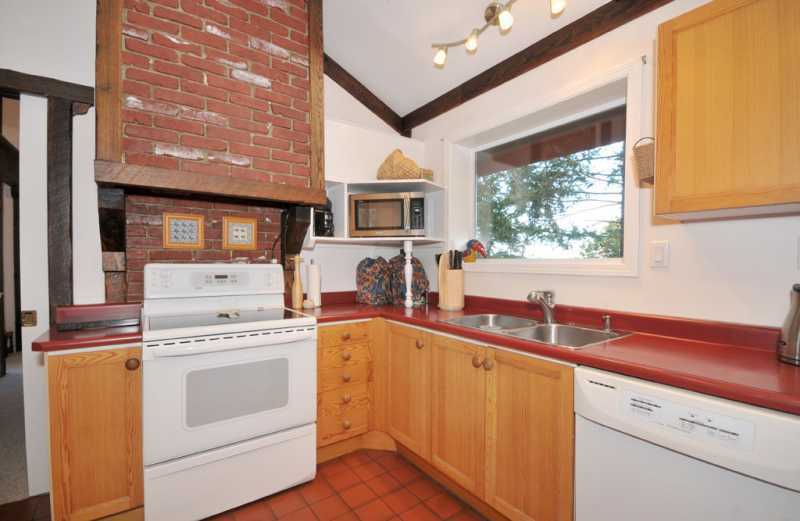 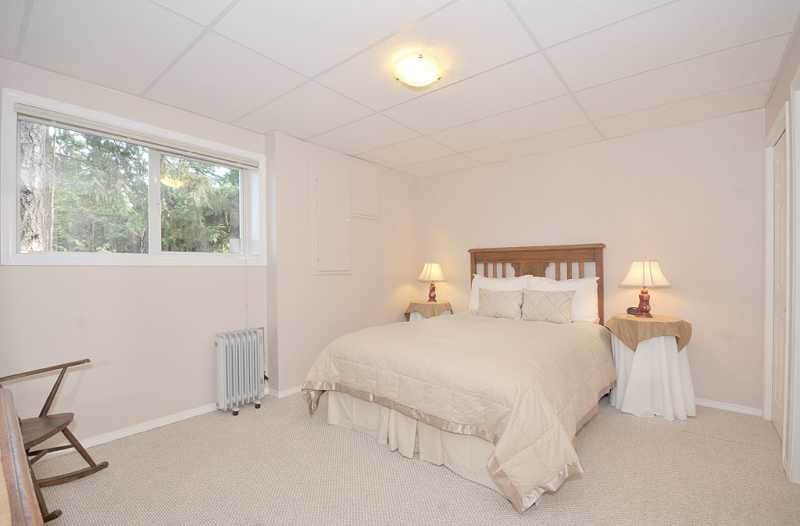 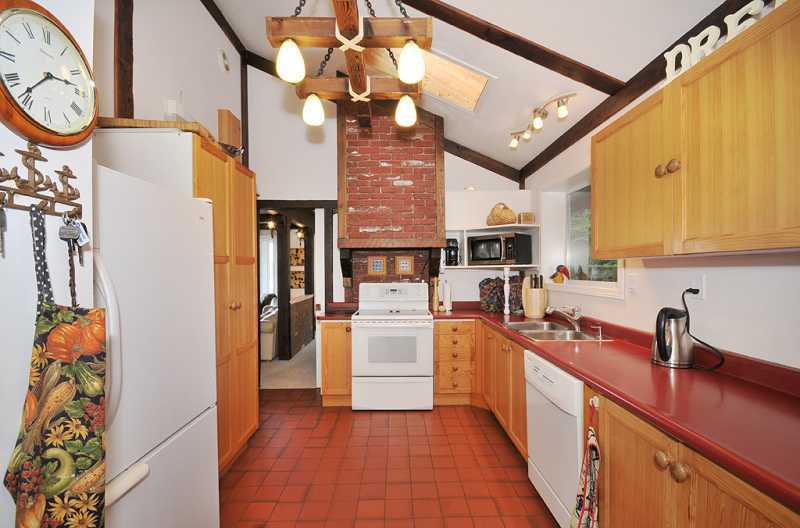 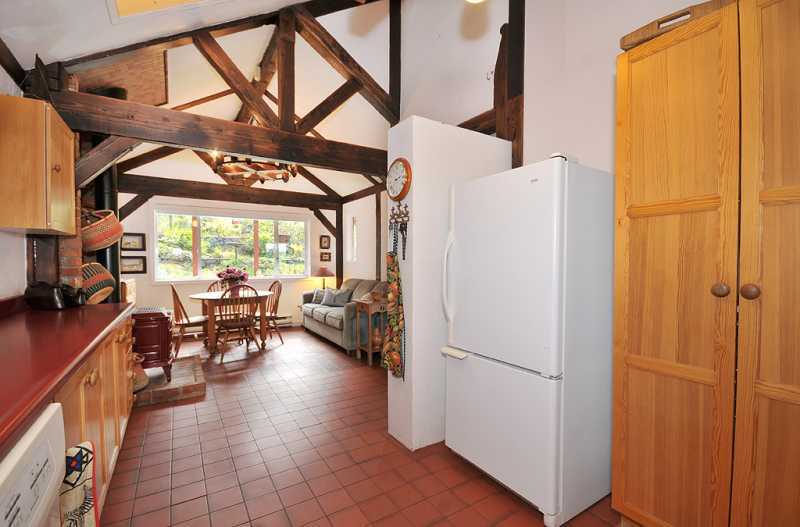 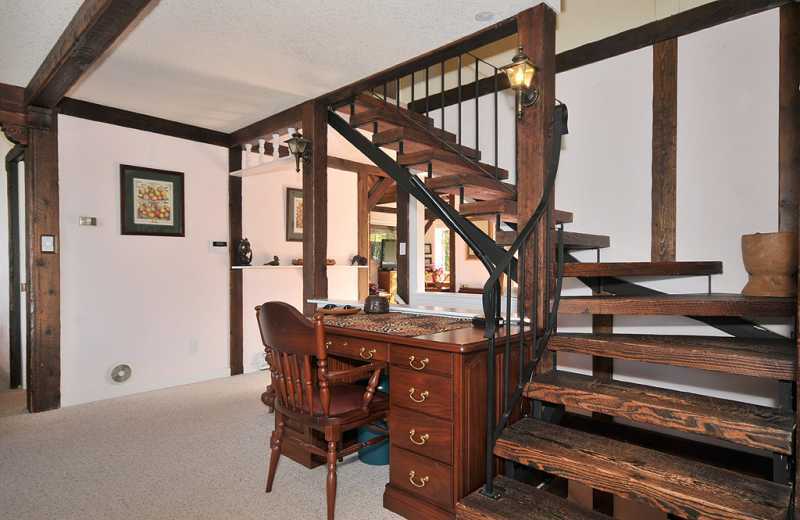 The lower level of the home has a newly renovated bedroom with ensuite and laundry facilities. 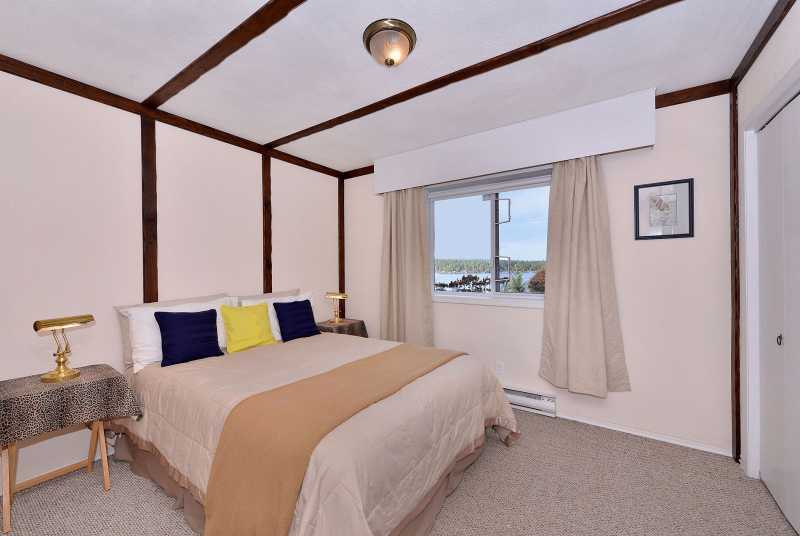 Continuing upstairs to the very top floor, you are met with the open, bright and cheery master suite providing views of the ocean and mountains that can be viewed when lying in bed or sitting in the private sun room. 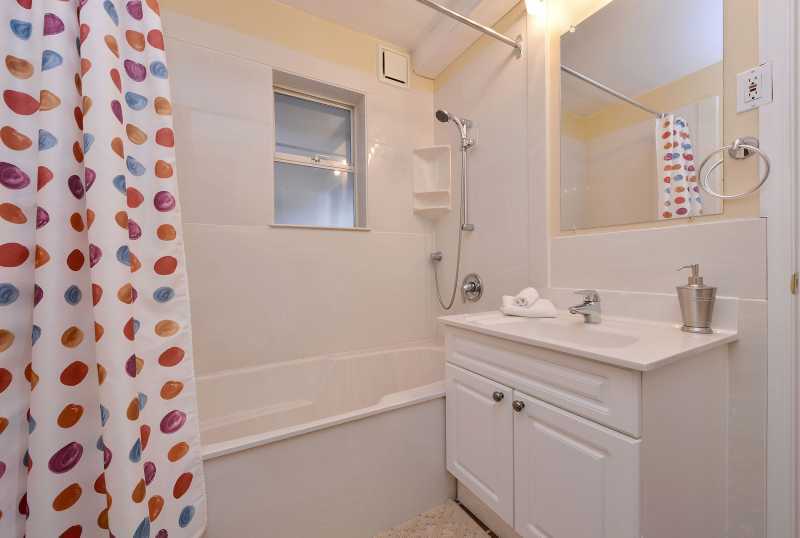 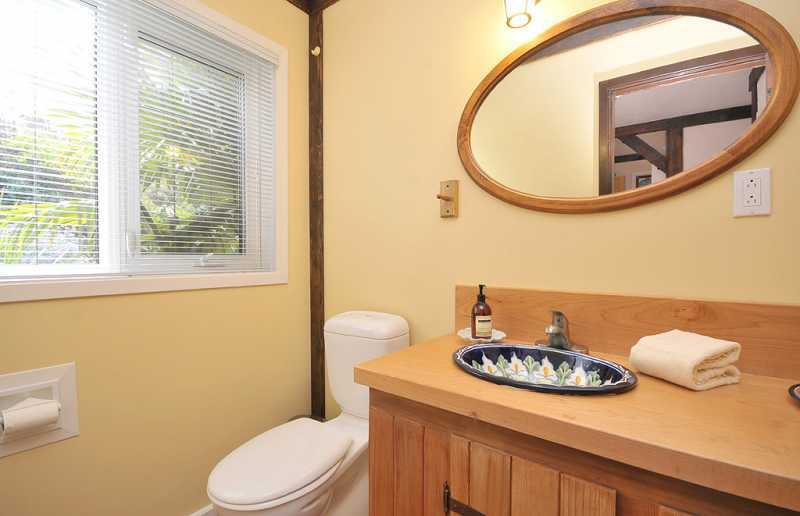 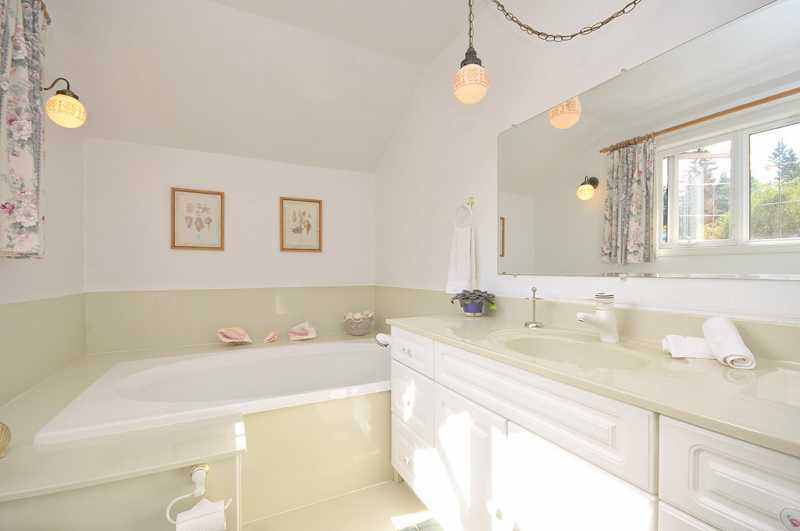 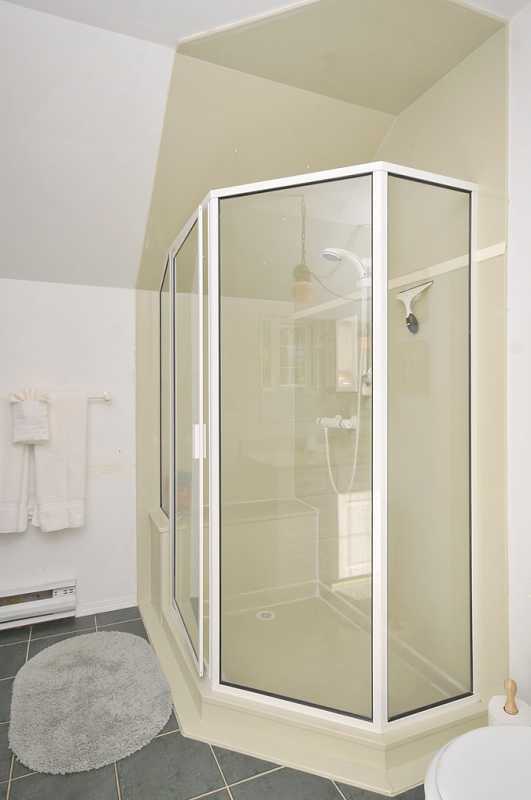 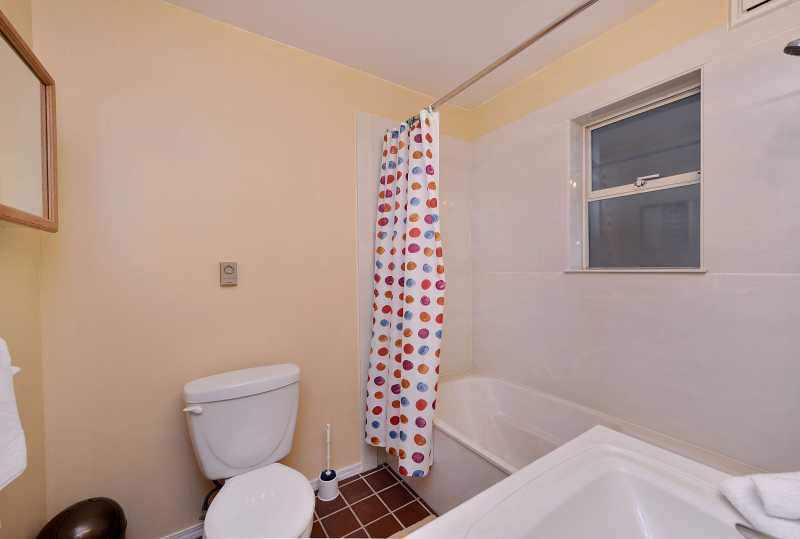 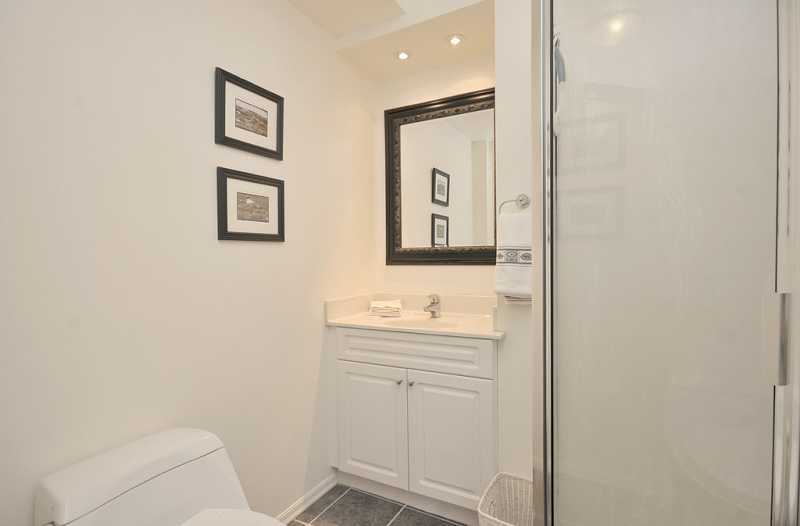 The ensuite is both relaxing and spacious with a separate shower and tub. 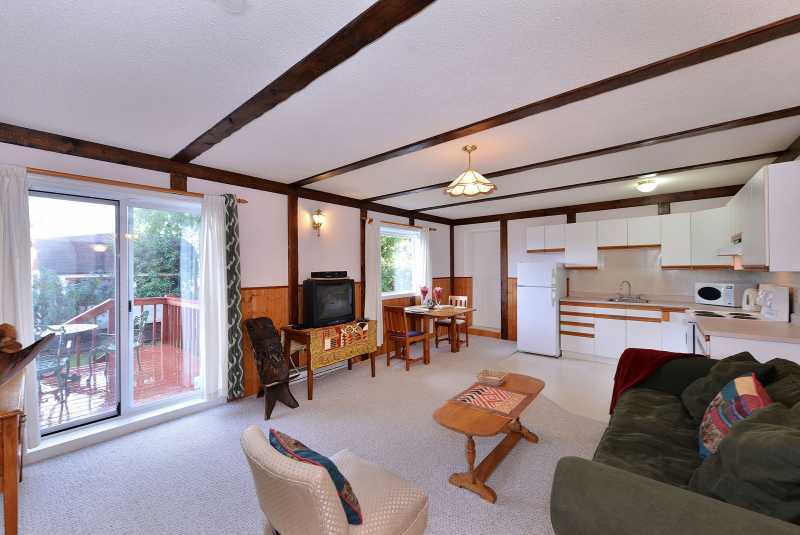 On the lower level of the home, you will find a one bedroom self contained suite with kitchen containing only a fridge and microwave, living room and bathroom. 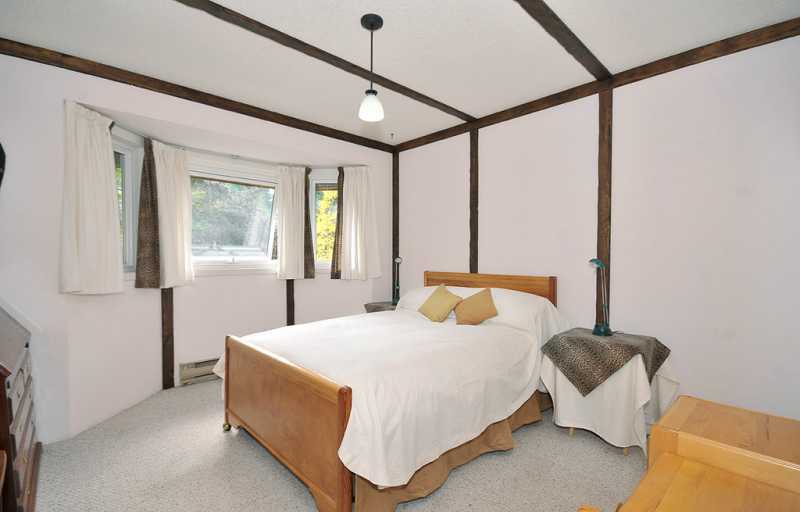 The bedroom containing a queen size bed and the living room containing a pull out sofa for additional accommodation. 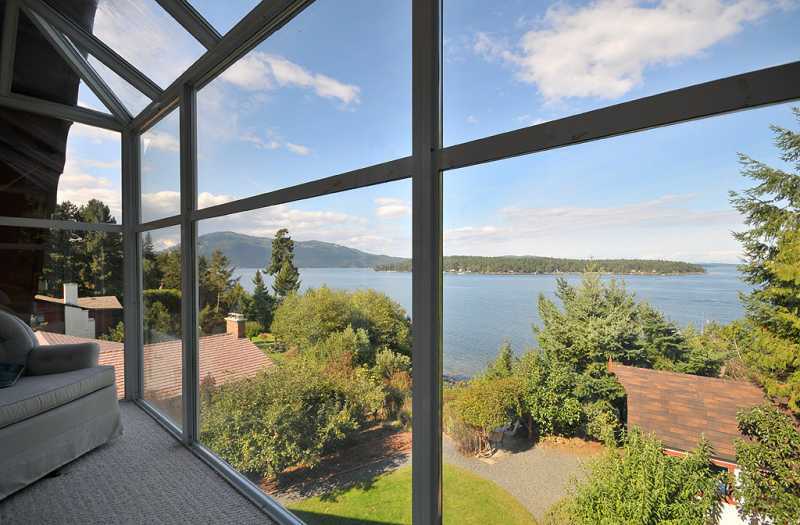 The suite is accessible both inside the home or by it's own private outdoor entrance. 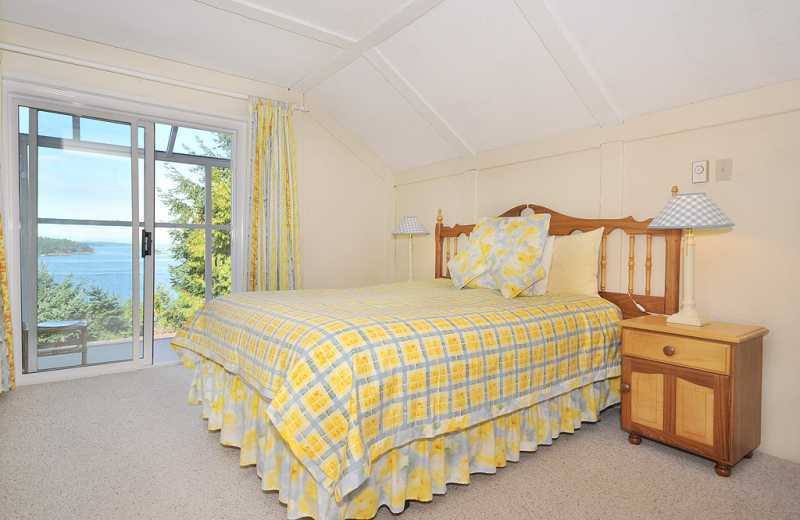 Seagull's Gulf Island View House is the perfect place to relax, rejuvenate and treat yourself to a memorable getaway in comfort and style. 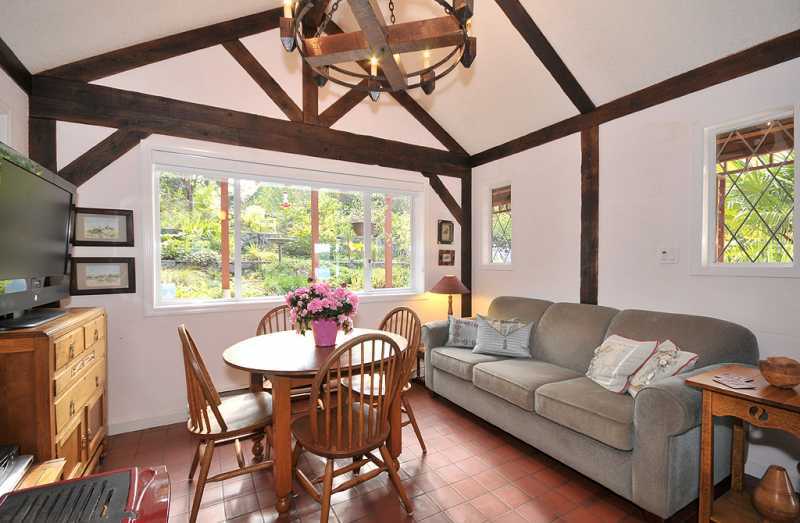 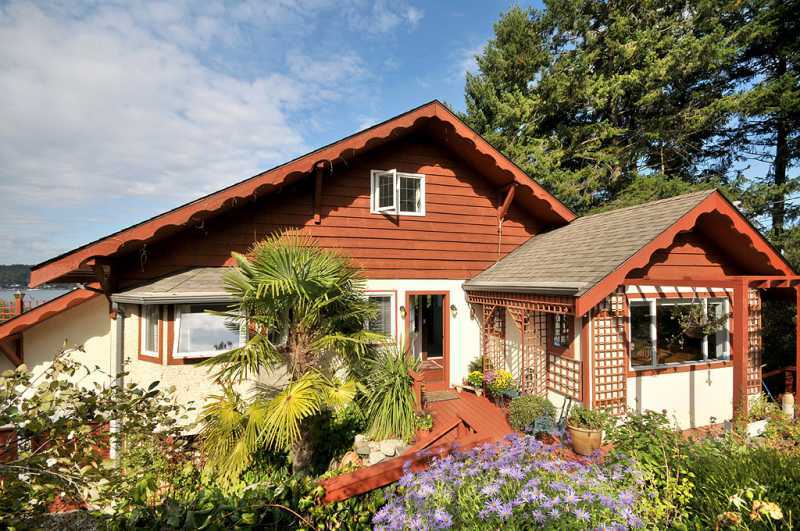 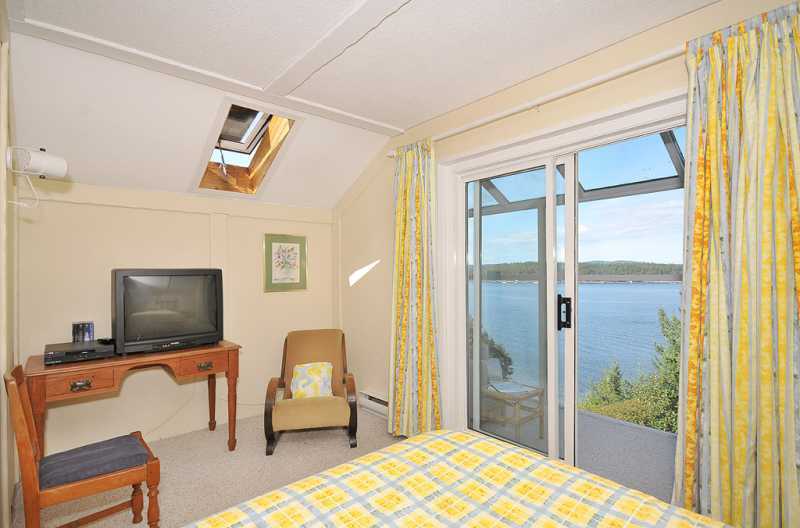 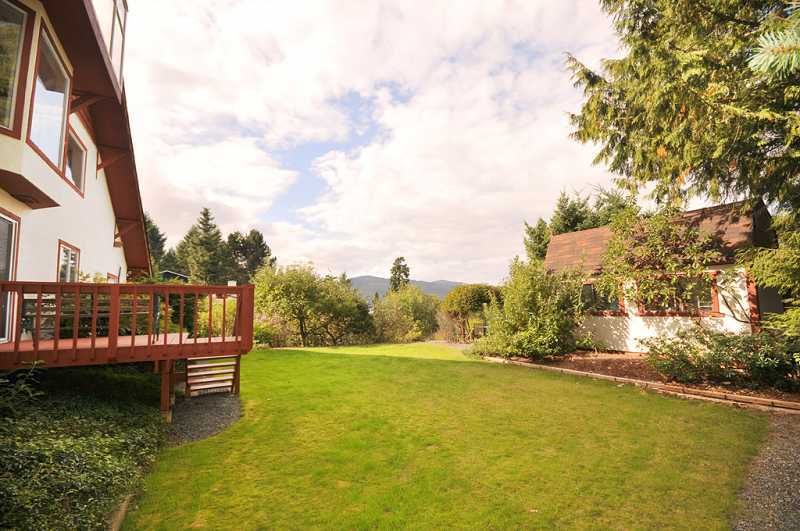 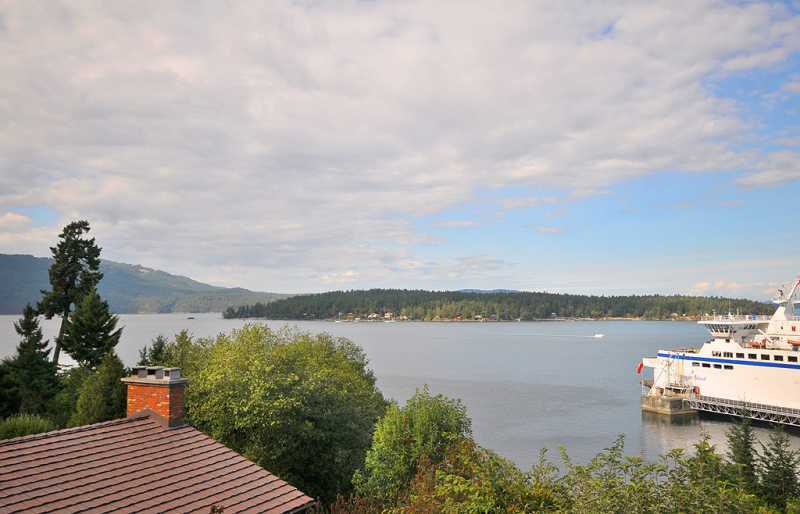 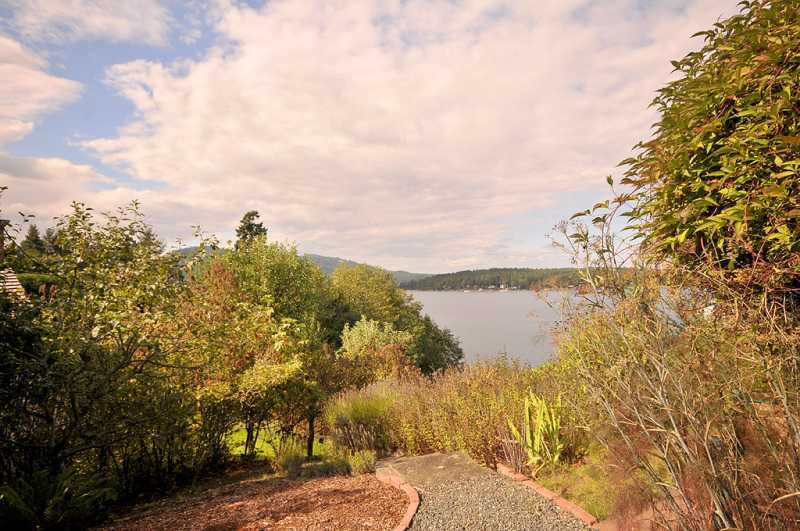 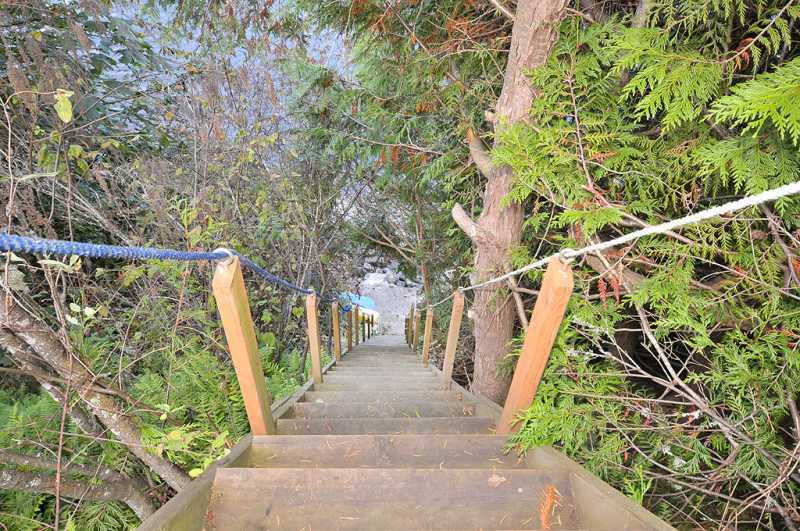 Make the Seagull's Gulf Island View House your next stay when visiting Victoria! 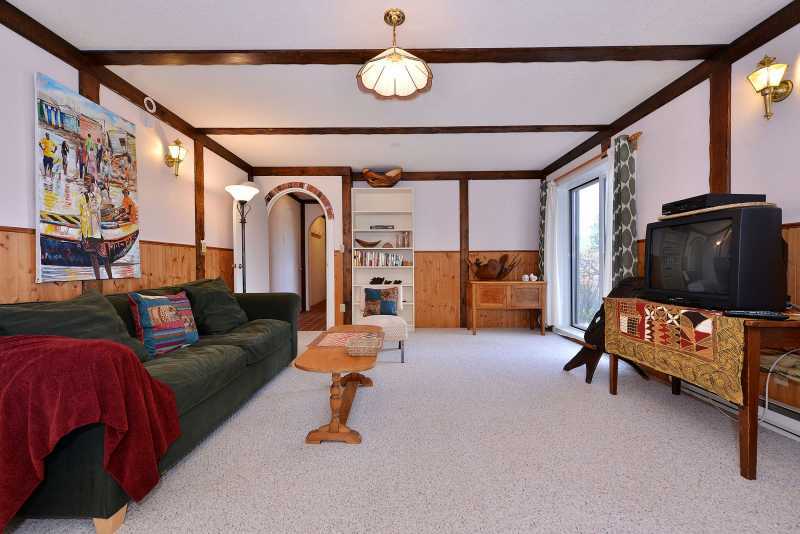 A fold out sofa is available on the lower level of the home.